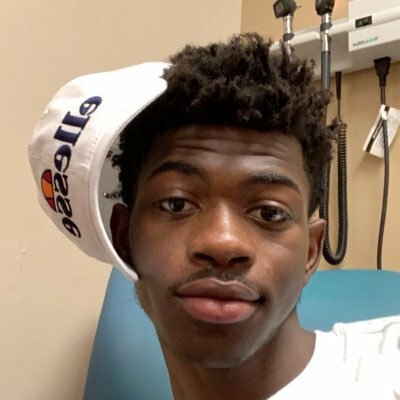 Columbia's Lil Nas X is a record-shattering monster. He scores a mind-boggling 83 million U.S. streams this week with "Old Town Road," which is now streaming in both its original form and as a Billy Ray Cyrus-enhanced remix. That's the biggest single-week number for on-demand audio streams, beating the 69m Drake did with "God's Plan." That total will also be close to four times what the #2 track on our streaming chart racks up. Meanwhile, Lil Nas is also on track to do at least 125k in track sales at digital retail—will he beat the 127k downloads “God’s Plan” sold in January of 2018? Stay tuned. At the moment we're looking at 700k in total song consumption for "Road." The song is also exploding at Pop and Rhythm radio, and Country radio detections have been noted. This thing is colossal, and it shows no signs of slowing down. It graduated from smash to fully fledged cultural phenomenon some time ago. And there isn't even an official video yet. We've been hearing for some time that music needs new superstars. Don't the recent performances by Lil Nas and Billie Eilish indicate we've got some? As “Old Town Road” emerges as a true monster, a major contest is said to be underway for Lil Nas’ management. Who’s in it? With two versions of "Road" and the newly released BTS, meanwhile (via BigHit), Columbia had nine of the Top 10 at iTunes on 4/12. Even the fast-food cowboys at Wendy's got into the act, offering the following via its socials.